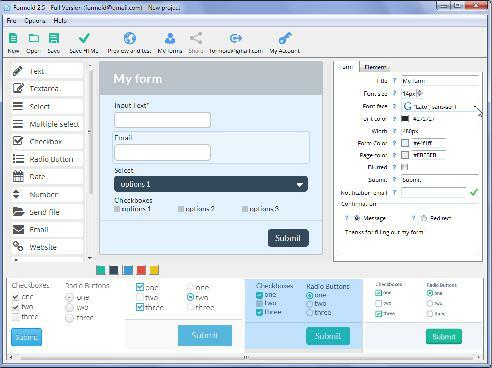 Formoid is a free desktop app that helps you easily create email form, web form, php form validation, html forms and more in a few seconds without writing a single line of code. Create fresh online forms in just a few clicks. Is it possible to change the type of captcha in form maker? Q: Hi, is it possible to change the type of captcha to a standard captcha and not recaptcha? A: Unfortunately, it's impossible in our application. Just taking Formoid for a test drive. Cool idea. And once you get the wrinkles out it should be a good solution. Submit Are you going to offer CAPTCHA? Password?